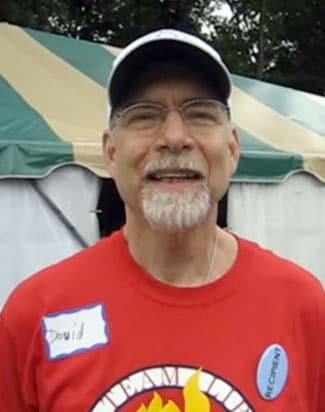 The body of David Bird, a reporter for the Wall Street Journal who went missing over a year ago, has been recovered from the Passaic River in New Jersey. Bird was 55. A resident of Millington, New Jersey, Bird left his home for a walk on Jan. 11, 2014 and never returned. A massive sweep of the area via land and air involving hundreds of volunteers and area rescue officials failed to turn up any evidence of his whereabouts. On Wednesday at approximately 5 p.m. local time, two men canoeing the river discovered Bird’s jacket and called police. Investigators found Bird’s remains about a mile from Hicks Tract Park where, according to his wife Nancy, he most often took his walks. Nancy Bird said that he left the house without his phone or the medications he required following a liver transplant he underwent 10 years earlier. A statement issued by the Morris County Prosecutor’s Office said identification was made through dental records. The cause of death is unknown and under investigation. A $10,000 reward was offered by Dow Jones & Co. for information leading to Bird’s recovery in June of last year. Bird covered energy markets for the Wall Street Journal, which fueled conspiracy theories about the manner of his disappearance. His beat routinely involved coverage of OPEC, high-value commodities futures and hydraulic fracturing. A website launched by Nancy Bird to help find her husband went live on the same day as the grisly discovery. David Bird is survived by his wife and two teen children.